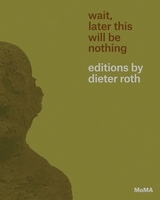 Hardcover, 6 x 9.5 in. / 64 pgs / 51 color. 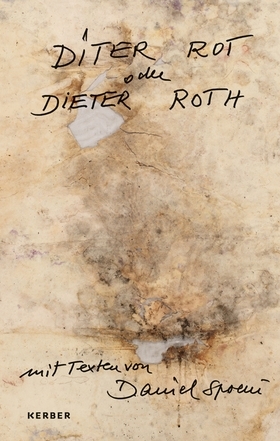 This slim, elegant volume presents a concise selection of works by Dieter Roth (1930–1998)--who often spelled his name as Diter Rot--from 1965 to 1990. A genuinely experimental artist, Roth constantly embraced new forms and devised new ways of working, and this book reflects his creative openness and appetite for play. 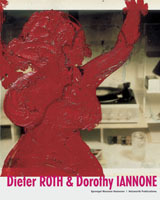 Its sampling of works ranges from the rubber-stamp works of the mid-1960s and the infamous chocolate sculptures of the late 1960s to the loose, expressionistic drawings of the 70s and 80s. 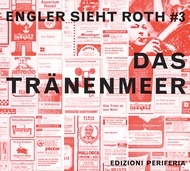 Also included is a warm, informal essay by Daniel Spoerri, reprinted from a 1966 Roth exhibition catalogue, and the transcription of a 1970 discussion of one of Roth’s works between Spoerri and a school class in Düsseldorf. FORMAT: Hbk, 6 x 9.5 in. / 64 pgs / 51 color.